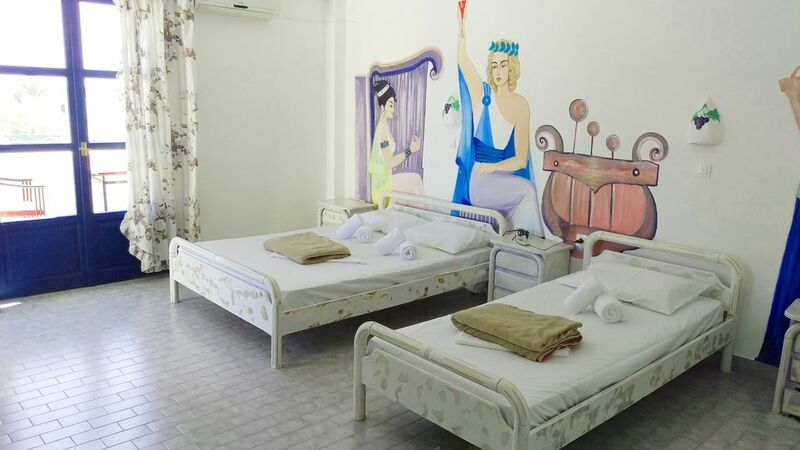 We are in the heart of Perissa , just 300m away from the black sandy beach and 100m from the main square of Perissa, 50m away from a supermarket in Perissa and 100m away from the 24hours bakery. *free transfer for your arrival time from 3 days booking the apartment ,on your request. *free sunbeds and umbrella on our private beach in front of the restaurant. We are in the heart of Perissa Beach just 300m from the unique black sandy beach. We offer for our guests 24/24 available manager. The room was just that a room with a very small bathroom. But it was fine. Walking distance to the black sand beach, close to many bars and restaurants, on major bus route so we could get around on our own, the renter also has a beach front restaurant walking distance away, (maybe a very long walk for some people but we did it in 10 minutes or so), and gave us a discount on food and drinks plus access to the beach. The place was in need of cleaning, especially the bathroom (including the toilet seat) and the kitchenette (the stove not working at all!) Would have appreciated a warning! !